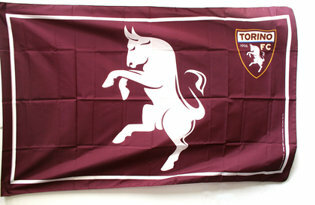 In this section you can find all flags of italian football teams. 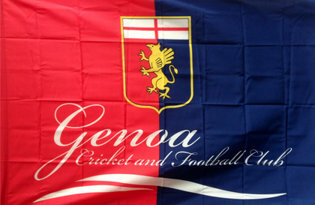 Altogether the italian professional championship is composed by 102 teams, and is the most copious in the world. 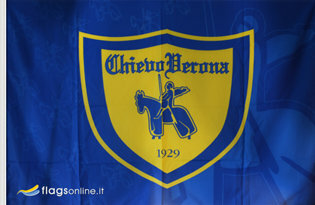 The A league of the italian football championship nowadays (2016/17) is composed by: Atalanta, Bologna, Cagliari, ChievoVerona, Crotone, Empoli, Fiorentina, Genoa Internazionale, Juventus, Lazio, Milan, Napoli, Palermo, Pescara, Roma, Sampdoria, Sassuolo, Torino, Udinese. 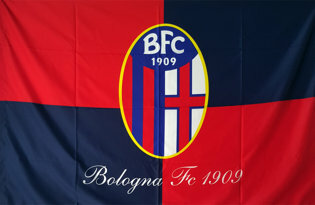 The B league of the italian football championship nowadays (2016/17) is composed by: Ascoli, Bari, Benevento, Brescia, Carpi, Cesena, Cittadella, Frosinone, HellasVerona, Latina, Novara, Perugia, pisa, ProVercelli, Salernitana, SPAL, Spezia, Ternana, Trapani, Vicenza, Virtus Entella. 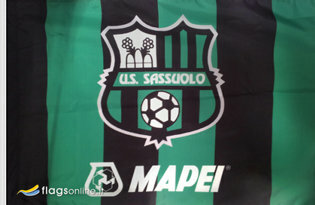 The story and the tradition of the sport associations contributed to the evolution of the teams' logos, which represent an element that is reason of pride and raise sense of belonging between the fans. 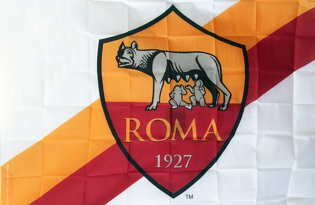 Every official flag of a football club represents the traditional colors and coat of arms, but if you want to get a flag with customized graphic and slogan, we will satisfy you. 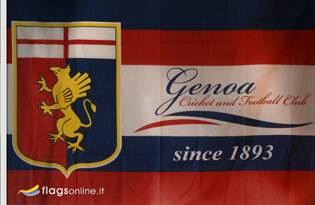 Click on the image of the single flags of italian teams to discover details. 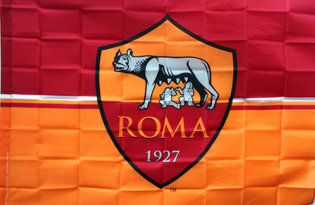 Each stadium's rules estabilish which flags can be introduced in the stadium. 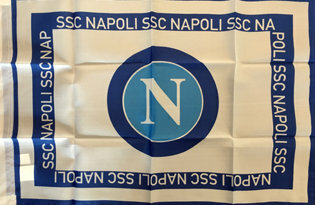 Usually the rigid pole's flags and the double pole's flags are not allowed; the sizes of the flags cannot be so overstated to annoy the other fans. 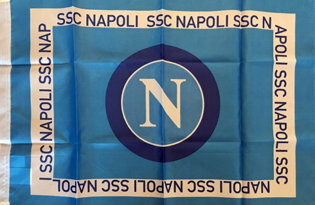 The flag to the stadium is something that real fans cannot be without. 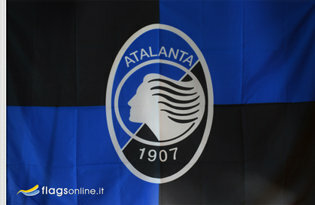 The A and B league's championship teams, in addition to the costumizable flags, are available in a variety of sizes and prices. 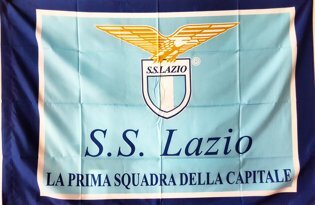 Materials used for the manufacturing of our products, like nautical polyester and lightweight polyester, are long-lasting and top quality ones. 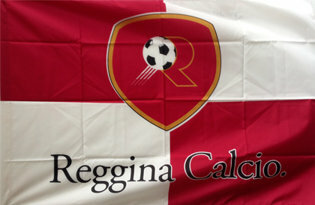 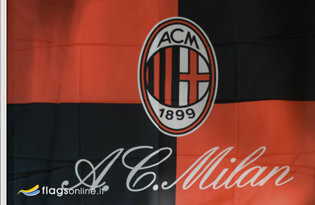 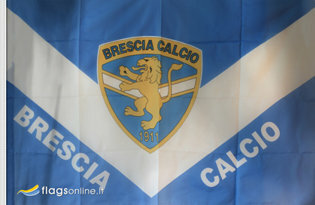 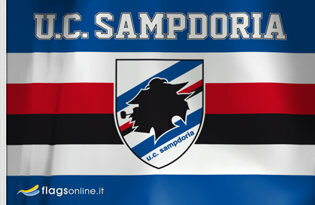 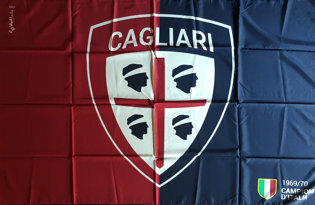 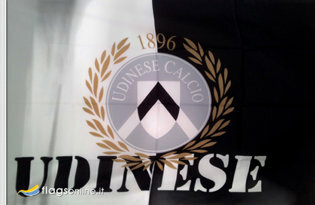 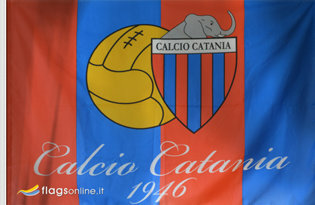 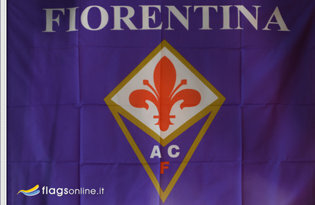 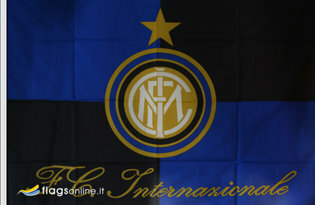 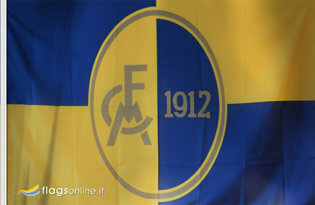 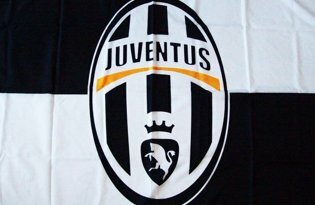 Purchasing our flags of italian football teams is easy, just click on the desired item and add it to the cart.